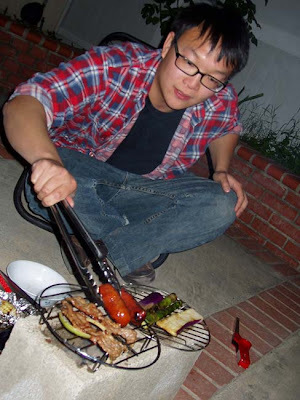 Ann and I had a BBQ in our backyard with a cinder block. try it if you get a chance. 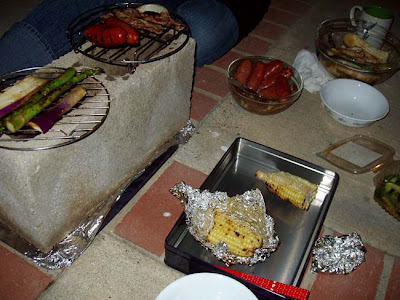 just elevate the cinder block so that air can get through the bottom, fill the two holes with coal, then put a couple steaming racks on top of the cinder block. 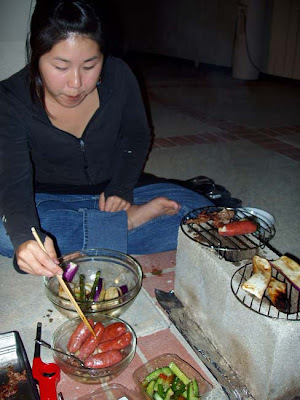 a well rounded meal with different colors; red sausages, purple eggplant, brown beef, green asparagus, yellow corn, white onions, and white mushrooms. 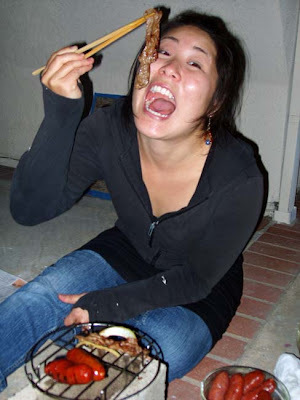 Ann is a fierce eater.